There’s no secrecy about the fact that the Switch isn’t a console powerhouse in comparison with others on the market. Still, we’ve got plenty of examples that prove that technically demanding games can be brought to the Switch with very few compromises: Panic Button’s work on Doom, Virtuous’ on Starlink, and Iron Galaxy’s on Skyrim are just a few examples. 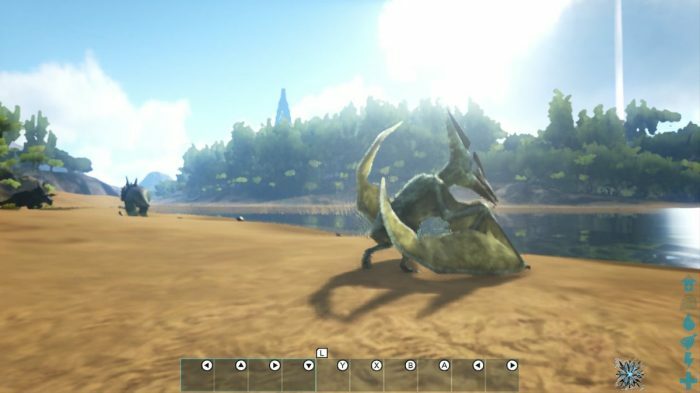 Unfortunately, though, not every studio can get around Switch’s limitations, and that seems to be especially true when it comes to ARK: Survival Evolved. Survive on a Utopian (and blurry) island inhabited by dinosaurs. 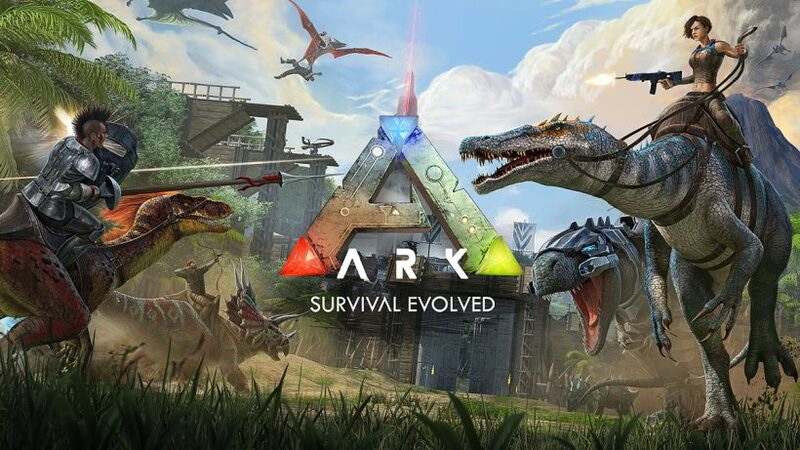 If you have never heard about ARK before, it follows a standard survival gameplay loop – which was very prominent on Steam Early Access, a couple of years ago. This means that, after customizing your character’s appearance, you’ll wake up stranded on a paradisiac island, with absolutely no idea about your past or your predicament. From there, you need to do your best to fulfil your basic living needs – water, food, warmth – whilst exploring the island in the hopes of discovering its mysteries. You level up by performing numerous activities around the island. 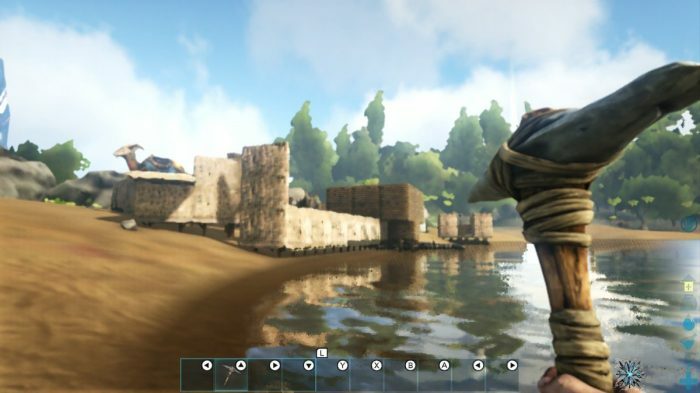 The most unique aspect of ARK, which helps it to stand out when compared with other survival games, is the fact that the island you’re in is inhabited by many different species of dinosaurs and other prehistoric creatures (some of them can be tamed, and used as mounts). Instead of being set on the past, however, you’ll quickly learn that you’re on an anachronistic kind of world that combines both past and future – it’s very Jurassic Park, as you’ll notice from strange tech buildings around the island. Also, the crafting recipes you unlock when levelling up includes modern guns and other little surprises. Despite its interesting setting, ARK’s gameplay loop is quite demanding (and somewhat frustrating). Everything you do – including collecting resources, crafting new equipment, or fighting enemies – will give you experience, which can be spent on permanent upgrades for your character. The rest of your stuff, however, can be lost at any time. In consequence to this, I felt I was repeatedly starting from scratch. Performance-wise, ARK is the opposite of a good Switch port. 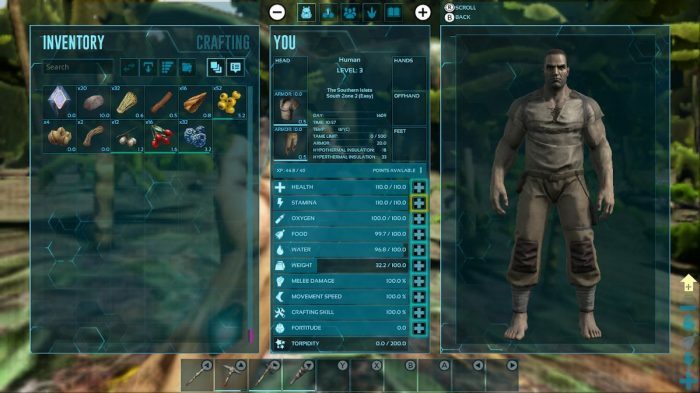 On top of such a punitive system, what really takes away from any further enjoyment I could have had with ARK are its many performance issues. I play my Switch mostly as a handheld, and ARK has such a low resolution on this mode that it barely feels playable. This doesn’t mean that the docked performance is a lot better. The game looks blurry in both modes, and you’re constantly plagued with slowdowns and props popping up to obstruct your view – it is even worse when you’re trying to engage in combat. For that reason, in its current state, ARK can’t be recommended to anyone.